The main positive factor behind hiring a virtual assistant to help your start-up or business is the fact that he/she will be able to do the same thing as a full-time employee at less than half the cost. Similar to interns, they can also bring a new kind of energy and eager work ethic to your company. The main negative factor about VAs and interns alike is the fact that they tend to be undergraduates and recent graduates from university, so they usually do not have much experience. 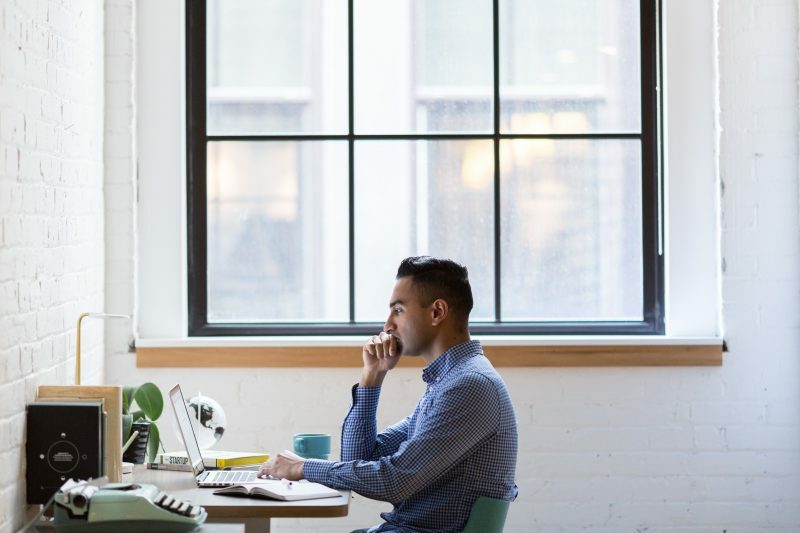 But, contrary to most opinions, there are actually many business tasks that can be done with minimal experience, and these tasks can even be vital to keeping your business afloat. In this blog, we list ten simple but vital projects or tasks that you could give any hardworking VA, no matter their experience level. Market research: A VA can easily assist you with market research for your business. As undergraduates or recent graduates, they will undoubtedly be used to conducting research for their university assignments or their thesis. Therefore, you can have a reliable and intelligent person that knows how to search for information and present it in a way that can be understood by anyone – you, your colleagues or your clients. There are also many apps and web-based tools that can help your VA come up with professional presentations and charts to represent their research. Social media management: This is probably the most common task assigned to VAs. Social media has become one of the most important marketing and customer interaction tools for all businesses. Whether it is Twitter, LinkedIn, Facebook, SnapChat or Pinterest, every company is expected to regularly update and maintain their social media platforms. Most VAs are young and have the best grasp on the many online trends and platforms, so they are the perfect solution for this task. Blog writing: Beyond social media, online blogs are becoming more and more popular for businesses. They are engaging and they attract traffic to your website and therefore attract customers to your business. A VA can assist you with setting up your blog and writing interesting articles on a daily or weekly basis. You can provide the topics and direction, and the VA will do all the research for the content and write up a first draft that you may edit before posting. A VA might even be more skilled at writing and editing than you, so they could definitely provide an edge to your business. Data entry, cleaning or analysis: Ever found yourself doing a repetitive copy and paste job or spending hours of your valuable time gathering data? This can be a huge waste of time for you and your team, so a VA is definitely needed for this type of work. No matter how tedious it may seem, it is still meaningful work to do, so the VA will still contribute to your business. It is also a very easy low-skilled task, so it will be easy to find a suitable VA to get it done. Translation: If you have ever considered entering a foreign market or dealing with foreign clients, you may need translations of documents or web pages. The translations could be from English to a foreign language or from a foreign language into English. Since VAs are employed remotely, you can easily get a willing and VA from the country that speaks the language of interest to help you with translations. The only thing that you will need to make sure of is if they can speak English, but since English is quite a global language, you should not find this too difficult. Recruitment: If you run a business that needs employees or volunteers, then you could use a VA to help you with recruiting suitable candidates. They can sift through applications and find the few that meet the specified requirements. They can then conduct first round interviews on the telephone or Skype, and then pass them on to you if they are suitable or have potential. Your VA can also manage recruitment systems, human resources, and the posting of job adverts. Transcribe your audio recordings, videos or podcasts: Transcription of audio or video meeting proceedings is an easy task. All it takes is a good ear and a keyboard. This is an excellent way to get your VA involved in your business. It also keeps them well-informed about business activities so that they can provide information on ongoing projects such as deadlines or decisions that you and your team have previously made. You will just need to show them how to take minutes in the format that you prefer and be patient as they adjust and come up with a way to transcribe efficiently. Website design: There are many VAs and freelance web developers that are skilled in website design and coding. Coding has become quite a common skill, but there is also a range of web design platforms that are relatively easy to use. Having a website is very important for a business to be accessible and relevant to customers. A VA can assist with setting up a website, revamping outdated websites, or maintain the website and keep track of web activity. Organising files: A good filing system is vital to keeping a business running well. Your filing system can also get quickly messy and unorganised if not maintained and cleaned regularly. A VA who pays attention to detail can be useful to organise your files. Since most files are now stored in online storage drives, your VA’s remote location will not stop them from being helpful. Answering calls and taking messages: It goes without saying that the usual job any assistant (virtual or not) does is being a receptionist that answers the telephone and takes messages. A VA can do this for you since they can run your phone line through online calling platforms like Skype. They can also be useful in organising your calendar, scheduling appointments, and running email accounts. As you can see, experience is not necessary when it comes to many tasks, so employing a VA to do them is a credible solution. Even though these tasks are often menial, they are also vital to running a business. They can also be quite time-consuming and should be delegated to a VA to free up your time to look after more demanding business matters. Beyond VAs is a London based social enterprise that helps solopreneurs and SMEs grow their businesses by connecting them with talented virtual assistants from countries with high unemployment rates. 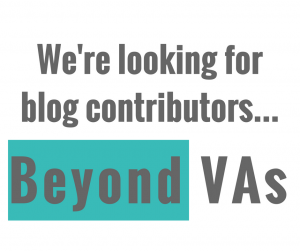 To find out more about Beyond VAs, get in touch with us or subscribe to the newsletter here.